While many here have considered the Blaine Gibson story preposterous, I don’t think there’s been a more immediately incisive explanation of just why. It’s a fairly devastating take. And I’d say that irrespective of Gibson’s potential complicity. Frankly, there is something about him, what has been reported of his life, that suggests the kind of rootless searcher that would make him especially useful as a dupe in someone else’s game. Not to mention the time he spent in Russia. That said his access to the Australian PM might be as much because Gibson gives the impression of action, a solution, than anything nefarious in their relationship. @PS You didn’t understand my post. It was an answer to @ Havelock. And please, don’t behave impolite calling me and other people trolls, thanks! Many of you start from the point that perpetrator did exactly what he wanted to do. Bear in mind only ~50% of hijacks are successful(in a way they reached desired destination). Forget about ridiculous clickbait MSM articles and start from scratch. We don’t know if crashing was the goal, we simply don’t. It could be the consequence of things going very wrong, you can’t perceive this as your standard A-to-B flight. The Captain was (likely) the only person that could do this, being it on his or someone else’s behalf. Judging by his political affiliation and happenings around that date he could have been very much motivated to do something extraordinary. Piloting wasn’t only his profession but also his hobby. The person who’d successfully evade malaysian (and indonesian) interceptors would do everything to see the aftermath, not kill himself(and others). Here’s something. Well it interests me anyway. For 4 years I’ve believed that Mh370 lies off the coast of Northern Sumatra at 4.6 North & 90.7E. Dr Bobby Ulich has just released his latest estimation. That is 31.57S & 96.77E. Which is the bottom end of the broken ridge in the SIO. What interests me so much is if that decimal point was between the 1st 2 digits so 3.157 & 96.77 then that location is very much akin to my own. Add to that the NOAA drifter buoy I shared a link to that shows how it crossed ALL the debris find points & it makes a striking coincidence. Could Mh370 be just a decimal away? I would be interested to see Bobbys area as it is in the SIO be searched. @Susie Crowe, I think you’re vastly overstating the regimen the 9/11 hijackers were put through, with the plot itself coming together in bits and pieces from only late 1999 and without finalizing until July 2001. Was there help with money and the logistics of travel and shelter by both witting and unwitting participants? Sure. But the “training” largely consisted of a couple of weeks in “terror school” and then fairly short term flight lessons with, according to most reports, not exactly gold star pupils. But this is somewhat beside the point. I meant to compare 9/11 to MH370 in the scopes of their daring, not the ability of their perpetrators. While your list of actions Shah needed to take to suit the currently accepted narrative does well to describe them with appropriate absurdity, his training and position and authority in the cockpit certainly gave him all the opportunity and skills necessary. That is something the 9/11 hijackers didn’t have and likely why so many people believe Shah was the perpetrator. That said, I want to agree with you and Jeff that Shah is likely not th perp and have pointed out repeatedly that he in no way fits a suicide model. But the point remains that at least right now it’s not possible to discount his culpability entirely. A lesson on debris and time to discovery, courtesy a message in a bottle launched from a ship at 105 east, 32 south…in 1886. From reports it would seem Ghyslain is quite right on both counts. Blaine’s find rate has been incredibly amazing and so has his ability to simply call and/or drop in for a PR piccy and a cup of tea and a chat with seemingly whoever he chooses. Recently featuring a visit to OI whilst docked in Durban, for unstated reasons (what could Blaine possibly know that might be useful to them in the search? And secondly, that he couldn’t pass on by email?) and previously even including visits to such ‘lesser mortals’ in this affair as some of the people who once deigned to post on this blog, such as Victor Ianello and Mike Exner. 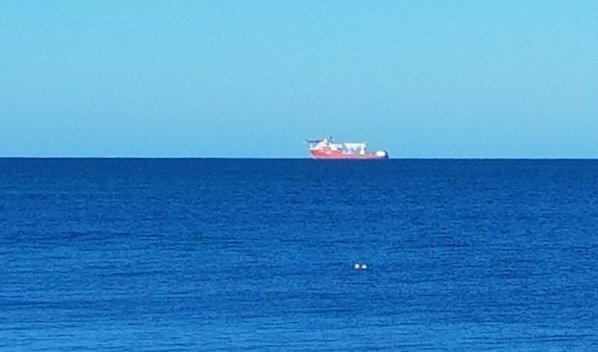 Criss-crossing the Atlantic just for a cuppa and a chat/piccy with certain people doesn’t seem to be a problem for Blaine. Must be very good tea. What is your ‘likely’ based on? Or conversely he might have had no motivation at all and had nothing at all to do with it, since this had happened before to Anwar, was therefore absolutely expected to happen again as soon as he dared to run for office (he called their bluff and lost) and similar corrupt government behaviour had been par for the course in Malaysian politics since independence in 1957. That’s 61 years of political control staying in the hands of a small number of ruling families who rig elections, voters and electoral boundaries to ensure they, as the ruling party, always get re-elected. And as for ‘political affiliation’, have you heard of the yellow shirts? A good part of Malaysia would like a more democratic government, thank you. They clearly don’t have that at present. Here’s a few thousand other people who might agree that: ‘Democracy is Dead’ in Malaysia – would you judge any MAS pilots or cabin crew amongst them as ‘likely’ political hijackers also? You are saying that the fact that 31.57 and 4.67 are a decimal away is a striking coincidence? Might be a reach. The Blaine Gibson stories look worse each time I read them. Having seen how the Russians are at least interested in, and very likely capable of, manipulating certain Americans, “Blaine the Plant” is starting to look pretty believable. I think we are apples and oranges on this one. Z’s skills as a pilot are a given, having banked over 18k hours flying 30 plus years for the airline. It is the nonchalant description of this man murdering his co-pilot, crew members (many he had worked with over 20 years) and passengers with the presumed ease of it, not to mention flying for hours in the same confined space (obviously the plane, not the cockpit) with them. This requires nerves of steel that only stem from the eerie mind of a lunatic. The Indonesian denial of not seeing MH370 in their airspace is simple enough, for two obvious reasons. Remember that the Indonesians did say that they had “only” recorded the SSR return from MH370, (NOTE: “not” any primary radar return(s)), whilst MH370 was on the outbound leg from KL to Igari, and never thereafter. They never said at what time, point (position) or altitude they first recorded the SSR return, nor at what time, point (position) or altitude they last recorded the SSR return. More to the point, they never stated which facility (or facilities) received the SSR returns. People must understand, that althouh airports and military radar installations are nearly always co-located “pair” of SSR and PSR, most often mounted on the same rotating turntable, there are many “SSR Only” facilities, almost always unmanned, operating automatically, that are much cheaper to build and run. They are most often perched up on remote mountain tops etc, that give them an extended range. From an Indonesian SSR ONLY perspective, once MH370 flew out of their range on the way TO Igari, (whilst the transponder was still on) no further SSR returns would be received by Indonesian SSR facilities. We know that the transponder ceased transmitting (for whatever reason) just after Igari. We are told, that the aircraft then turned around, and flew back to Penang, and that Hamid’s phone attempted a log on to the Grain Loaf Tower. At that point, (at cruise altitude) the aircraft was definately within range of multiple Indonesian SSR facilities. None recorded anything, neither did Malaysian or Thai SSR facilities, since once the transponder was switch off, so obviously there would not be any SSR returns for any facilities to record, civil ATC, Military, nor private hobby SSR receivers. Therefore, the “first” simple reason that Indonesia can quite legitimately, and honestly say, that they never saw an “identified” MH370, is that after that loss of SSR signal, outbound to Igari, there was no signal to receive. Thus thay can legitimately, and honestly say, that “MH370” never entered their airspace. The question then remains, what Indonesian PSR’s could (theoretically) have seen MH370, if they were operating. To answer that question, we have to determine wher the aircraft went after Penang. Let us consider the coverage of the Indonesian PSR’s (if they were operating). You will note that Medan radar could have seen MH370 at any altitude above 15,000 feet (FL150) (Blue border) at Penang, and most of the way up the Malacca Strait. The orange border is 35,000 feet (FL350). You will note that this radar could have seen MH370 at any altitude above 15,000 feet (FL150) (Blue border) at Penang, and all of the way up the Malacca Strait to the area of the FMT. The orange border is 35,000 feet (FL350). You will note that this radar could have seen MH370 at any altitude above 15,000 feet (FL150) (Blue border) in the entire area of any possible FMT in the Ache area. The orange border is 35,000 feet (FL350). Also take notice of the fact that any south-western flight path from Penang towards Medan was OUTSIDE the coverage of both of the Military PSR’s at Sebang and Lhokseumawe. Such a south-western flight path would have been seen by Medan PSR if it was operating. Being primarly an ATC radar for Medan Airport, it appears that it was either not operating at all, or was only being operated in short range terminal mode, and thus would not have displayed MH370 even if it had flown overhead. This leaves the last possible radar sighting, by PSR Sibolga. A south-western flight path via Medan would only have been seen in the north-western part of PSR Sibolga’s coverage – as an unidentified return passing south of Sianbang – heading out to sea. The problem again, is that PSR Satrad 234 Sibolga seems to be only a part-time operation, and was apparently not operating on the night in question. This leaves us with two possibilities. Either MH370 did go up the Malacca Strait to Ache (Lido slide) and BOTH PSR Sebang and PSR Lhokseumawe were off, and thus did not see it, which is hardly credible, particularly since all available information suggests that Sebandg at least is a major 24hr facility, OR, MORE LIKELY, MH370 never went up the Malacca Strait at all, but instead, flew south west over Sumatra, OUTSIDE the southern limits of the coverage of both PSR Sebang and PSR Lhokseumawe (so they could have been operating, and the TNI would not have to lie about it). In this case, since it is fair to assume PSR Medan was either shut down after midnight, or only operating in terminal mode, the only other radar that could have seen MH370 was PPSR Sibolga, and it’s operational status on the night is unknown, and the Indonesians have refused to say. Taking the overall view, I can not accept that the Lido Slide – and thus the Malacca Strait flight path, is valid. It is far more likely, in my view, that MH370 overflew Sumatra. @ventus45, You wrote, “all available information suggests that Sebandg at least is a major 24hr facility.” What information are you referring to? Given that primary radar shows MH370 turning at Penang onto a heading toward MEKAR, and that the 18:25 ping arc is near the 18:22 primary radar return, there seems little reason to doubt a flight up the Malacca Strait. If Indonesian radar was turned on, multiple sites would have detected this; since they didn’t, by far the simplest and most plausible explanation is that they were off for the night, as Gerry S says his sources confirm. Your idea that the plane went southwest after Penang would require throwing out both the primary radar point at 18:22 but also all Inmarsat data. Hard to see how one would continue at all. Jeff said “If Indonesian radar was turned on, multiple sites would have detected this; since they didn’t, by far the simplest and most plausible explanation is that they were off for the night”. OR THEIR PRIMARY RADARS DID RECORD IT FLY ALONG THE STANDARD ROUTE VAMPI, MEKAR, NILAM, SANOB AND THEN OVERFLY BANDA ACEH AIRPORT AND CONTINUE SOUTH, BUT THEY ARE NOT RELEASING THE INFORMATION DUE TO POLITICAL AND NATIONAL SECURITY INTERESTS. JUST LIKE THE AIRLINE OWNER – THE MALAYSIA GOVERNMENT- WHO IS ALSO WITHHOLDING INFORMATION TO AVOID A MASSIVE FINANCIAL PAYOUT. Ventus what does the inner blue radar radius represent in your graphics? Why not also show the WITT secondary radar as I believe that figures into some paths. The radar plots would be more useful with the lat/long grid on there. @Jeff I believe Ventus generally meets the Inmarsat because if you visualize a vector approaching a circle but off-center, then there is a mirror image angle that also works. But I don’t know if Ventus can explain the 18:25 BFOs burst which fairly clearly suggests an offset off of N571. I don’t find it immediately obvious why Indo should actively suppress intel. Do they generally like Malaysia(ns)? Genuinely asking… I would have guessed not so much? What’s the point of not coming forward saying they saw something on their radar if they did? So? He’s had enough and wanted to shed some light on malaysian political situation. Taking the plane off course and having all the world media cover it would be the perfect opportunity. 5. They may lose some financial benefits from Malaysia. I’m not sure how gainful it is to pursue this debate, but off the top of my head, if one wanted to argue against your points, one could say: 1) At the moment, it seems that their radars are not adequately working since they apparently didn’t see a plane that they possibly should have seen. That is revealing of their defence capabilities, and not in a good way. 2) Number 1 is a national embarrassment right now, if they could say they saw it, arguably it could be seen as less of an embarrassment? 3) I don’t understand. Who should sue them for what? 4) Relevance? 5) Do they get any? As TBill says, my path does meet the ISAT data, and quite well. The reason is simple maths. To simplistically visualise the situation, draw a line from the Satellite’s SSP to Penang. Draw the vector Penang – Mekar. Draw the vector Penag – Medan. And as regards the 18:22 so called final radar hit, you have to be kidding. Anyone who still is taken in by that is not serious. I wrote it all up ages ago, and my use of Barry Martin’s spread sheet proves it. Bravo Jeff. This piece is the most succint logical summary I’ve read in at least a year. [redacted by JW] @Matty – Perth, there is no place in this world for ignorant Islamophobia. You are spreading misinformation and from now on I will manually approve your comments. Noting Jeff’s steadfast commitment to this forum seems appropriate today. the last 4 years, rarely a day free of comment. Thank you Jeff for your contributions and thank you for taking the responsibility of providing a place to share and challenge opinion. @Susie Crowe, Thanks, I really appreciate your kind words. I’m grateful for your support and for the cooperation and brainpower of everyone who contributes here. The next few weeks and months are going to be crucial. I think we may finally have reached a turning point. We both know, Indonesia is never going to release its Primary Radar data. But IF it was released, the Final Major Turn would have been known, and the aircraft would have been found by now, period! Now what if the withheld data that the Malaysian Government is withholding, points to Malaysia Airlines, which is owned by the Malaysian Government, being totally at fault, say from improper maintenance of the topped up oxygen bottle. Do you really think that the Malaysian Government would want it found if they were at fault? And would that explain why the Malaysian Government is not going to release any data that implicates themselves, assists in finding the aircraft, or proves that it has been misleading the investigation? And would that explain why they restructured the company from MAS to MAB, so that they are not liable for MH370? And do you think that they would want the Indonesian Primary radar data and the First Officer’s phone connection log with Banda Aceh to be released? And is it possible that they applied some political pressure or financial incentive on Indonesia to withhold all their radar data? I call their bluff. I bet the aircraft tracked via Nilam and Sanob, then overflew Banda Aceh airport and ended 40 – 100 nautical miles past the Bayesian Hotspot/seventh arc because someone had turned on the APU before passing out. Still waiting to be searched. @OXY, The worst theories are those that hinge on the existence of undisclosed data, and the falsification of existing data. Wondering why you think so–because no wreckage will be found by Seabed Constructor? Or is it something else I’m missing? And if it’s just the wreckage, do you not think the same people will toe the same “absence of evidence…” line and the conversation will stagnate there? @Scott O, I think that no wreckage will be found and people will start to get annoyed at all the promises that the ATSB has made, and recognize that the ATSB has essentially admitted defeat once the 25K sq km are searched. I am very cognizant of the “absence of evidence” line, and am trying to push back against it. I think it will all come down to whether mainstream journalists, especially in Australia, are going to continue to be willing to be led down the garden path. The second part is that my updated Kindle Single will drop before long (exactly when I don’t know it), and I’m hopefully that when people see all the evidence lined up in a row (including evidence I haven’t yet presented here) the case will seem pretty clear. 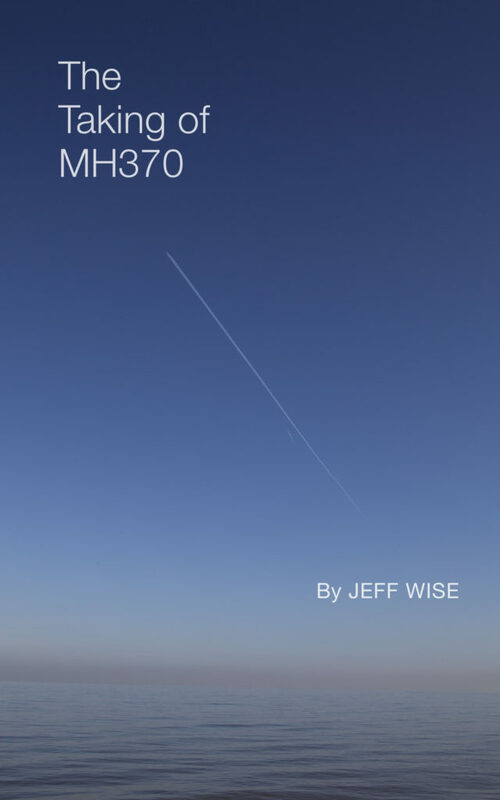 Jeff, I am not a ‘follower’ of the MH370 debate, but I occasionally read the blogs. Everyone seems to agree that Shah had the ability to hijack the plane; nobody postulates that he might have had the ability to frustrate an attempted hijack, and died in the effort. Comment? Exactly! And that’s why MH370 is not in Kazakhstan, but 40-100 nautical miles past the Bayesian Hotspot in the Southern Indian Ocean with a ruptured oxygen bottle. It’s the only scenario left that fits all the available evidence. The airplane had run out of fuel before it reached the Bayesian Hotspot. Flying 40 – 100 nautical miles past the Bayesian Hotspot is only possible with an active person at the controls holding the wings level. How does a ruptured oxygen bottle fit into that scenario? The airplane had run out of fuel and had lost the autopilot before it reached the Bayesian Hotspot. It seems that the only types of radar application that have been considered for determining MH370’s flight path after departing Kuala Lumpur are the KL air traffic control secondary radar and the military primary radar of various nations. If weather radar can detect raindrops at heights up to 7 km at a range of 500km it should be able to detect much larger aircraft. While the capture of radar echoes from aircraft may be filtered out by weather radar software and not displayed on screen on weather radar maps, it is nevertheless contained the raw radar data captured by the radar system with every sweep of the sky. And if the radar is a modern Doppler system the captured data would also provide information on the velocity of the aircraft. Weather radar data is routinely archived as part of the data bank used my meteorological bureaus to further develop weather forecasting. So it should be available for MH370 researchers with the technical skills to interpret it. I note that both Phnom Penh in Cambodia and Ho Chi Min City in Vietnam are about 1,000km from KL in the general direction of MH370’s flight path after departing KL. About half way along (about 500 km out) is MH370’s last known position as detected by KL air traffic control. The aircraft echoes captured in the weather radar data of KL, Phnom Penh and Ho Chi Min City should be correlated with this last known position, and then using the weather radar data the plane’s track should be able to be determined as it progressed on its flight. Perhaps a team of technical experts, government or private, could seek access to these abundant but unexamined bodies of raw radar data to discover where MH370 actually went instead of relying on Inmarsat speculation of where it might have gone. It would require the piecing together of radar data from many different radar sources (ships, weather radars), so perhaps it could be called ‘Project Mosaic’. @SteveN, Welcome! I’m impressed that you’ve introduced any idea that no one else had brought up yet, among more than 40,000 comments! triggered all MH370s problems (instead of say, a bursting FLG tyre, as Oleksandr suggests). Due aircraft have weather radar? I seem to recall the idea that MH370 could possibly have used that to see very close aircraft. Thanks for the link to that post of nearly 10 months ago. It doesn’t explain why a pilot or other person would fly to fuel exhaustion deep in the SIO with the airplane in that crippled state. In OXY’s scenario that person would have to act after the right engine failure to restore the PFCS normal mode (with envelope protections and TAC) and then to re-engage the autopilot. BTW, I think that the TAC would compensate the thrust asymmetry from the right engine failure during the rundown time (5 seconds approximately) between engine flameout and loss of electrical power. Contrary to widespread beliefs, I think that the trim applied by the TAC would remain when the PFCS reverts to secondary mode and the TAC function is lost. The end-of-flight simulations Boeing conducted in 2016 show that convincingly. However, those simulations also show that the airplane would not continue with wings level without active human control. All simulations (4) where the autopilot was lost on the first engine failure ultimately ended in a tight, steep, high-speed spiral dive. Congrats for this worthy hint , Steve. I would like to add, that it is very foggy until to-day, what the US/Thai joint naval maneuvres, that took place at the time of the disappearance in the andaman sea, captured on their surveillance screens of the airspace, especially since it was an unscheduled flight. Is puzzling me, that these data were not released til now. For example, there is the very recent and well-done proposal (see MH370_Captio.net) which envisions hijackers. They did not say what happened to the crew. Display of deployment/retrieval method of AUV. Brief mention of (some) Ocean Infinity search area selection input criteria. It was meant to be tongue in cheek. ME went a bit aggressive at me on Veritas (FB) seems I have rattled his cage a bit too much lately. I may lay off the ISAT argument for a while although my view on that may be subject to change. Lol. Is the ISAT concept In danger of becoming the biggest white elephant in living history? Just out of curiosity how much money in total has been spent on the concept? With the apparent failure of OI to find the aircraft in the hotspots suggested by Drift analysis experts what is the extensions to the areas searched based on? How much money is OI stood to lose if it fails to find the aircraft? Jeff you talk of a turning point. I agree. Although I’m unsure in which direction people will turn next. Do we still hold faith in the ISAT concept or do we start looking at alternative theories? Or will the search for Mh370 be abandoned unless more concrete evidence arises? @Jeff Wise and @CosmicAcademy – thanks. Yes, and they also have radar dedicated to detecting other aircraft to prevent collision (a warning will sound in the cockpit if another plane comes within close proximity. The space around MH370 was filthy with radar beams, but this data resource seems to have been untapped as yet.